When I first saw this recipe on Crumpets and Cakes, I got excited. Ginger Beer! I'd made Ginger Ale once before, but went way too overboard on the ginger (according to James - I thought it only a bit strong). I've been meaning to make some more, but never got the motivation - until now. This time, I made Ginger Beer, which you brew. Ginger Ale (and most commercially produced Ginger Beer of the non-alcoholic variety), on the other hand, is a carbonated soft drink. 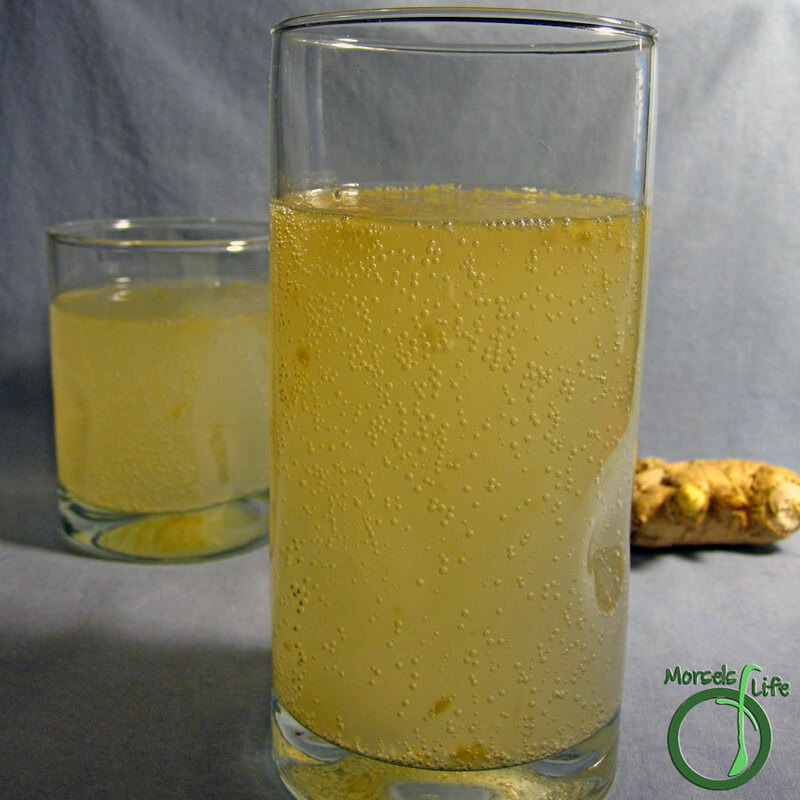 Originally, Ginger Beer was a fermented alcoholic solution with ginger, sugar, lemon, water, and ginger beer plant. 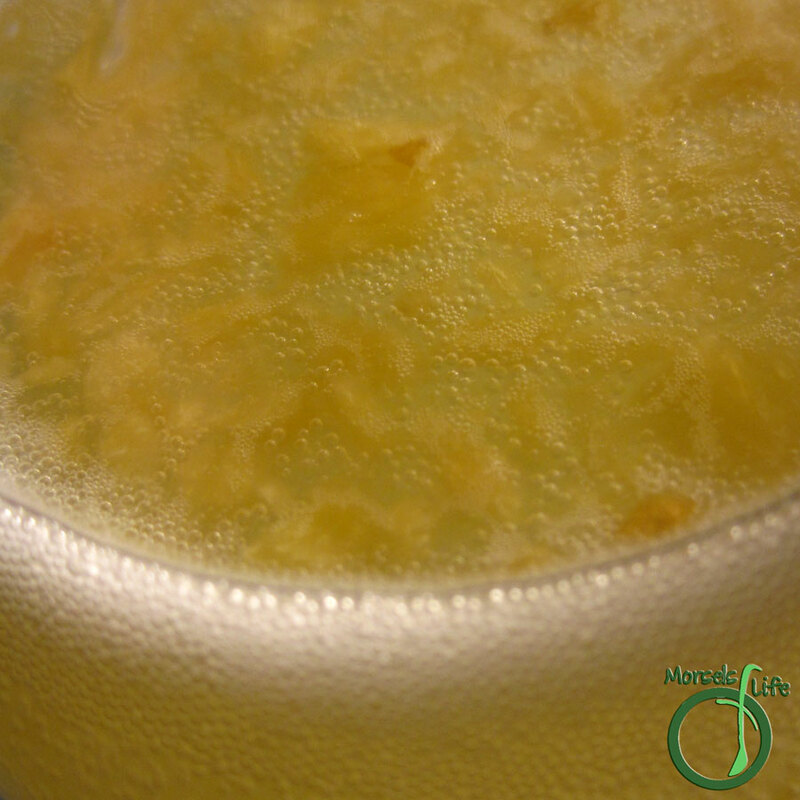 The Ginger Beer I'm showing you is fermented with yeast (and I used lime instead of lemon juice since it's what I had on hand). You'll want a little of one or the other to establish a slightly acidic pH (you'll barely taste it). This Ginger Beer amazed both James and I. James expected something ultra strong like last time, and I kinda expected a very yeasty taste. I'm excited to report neither was the case. When I shared with some folks at work, most thought it pretty tasty and refreshing too! James thought the amount of ginger perfect, and I wished for a bit more ginger flavor. Upon opening the bottle, I kinda expected Fizzy Lifting Drinks. So many bubbles - open carefully! When we drank this Ginger Beer, we found the level of fizz good. Not like Pop Rocks in your mouth, although that sounds fun too! We enjoyed this Ginger Beer by itself, but you could easily mix it up as part of a Moscow Mule or a Dark and Stormy. What about you? How do you like your Ginger Beer/Ale - mild, gingery and spicy, or somewhere in between? 1/8 teaspoon yeast You should be able to get away with less, but it'll take longer to carbonate. Add water, leaving about a two inch headspace, and seal bottle tightly. Leave at room temperature for a day or two. Refrigerate until ready to serve. Open the bottle slowly and carefully, there will be a surprising amount of bubbles - like a shaken bottle of soda! I love, love, love ginger beer! (and the spicier the better) Making it is on my 'bucket list'. I've pinned this, and definitely want to try it soon! That seems so much easier than what I expected! I'll be trying this tonight! Thank you for linking this to Must Try Monday. This sounds so easy. It's something my husband has always wanted to try-brewing beer. Maybe we'll give it a shot!